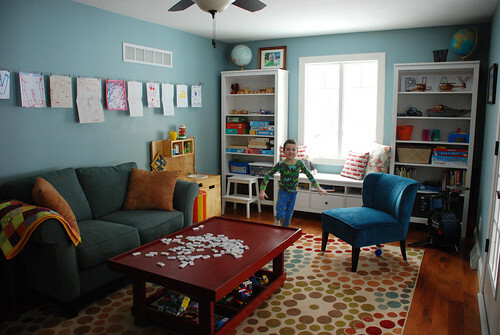 We took out all the random shelves and filled the back wall with matching bookshelves and a low bench/window seat. Walter has a step stool to reach the higher shelves. 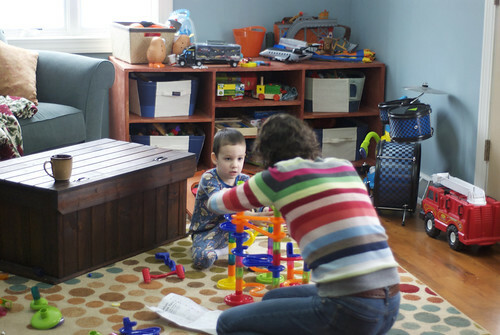 The coffee table is Walter's train table and is a great surface for puzzles, games, and LEGO-building. We added a chair so there are seats for everyone around the table. We put up a gallery wall to display all of Walter's artwork and he can easily replace the old stuff with new stuff. 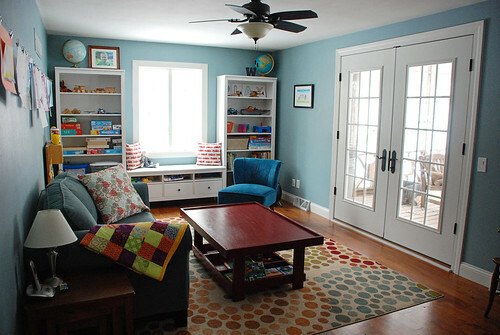 I'm loving all the new storage space in this room. There's a place for everything so cleaning up is easy. 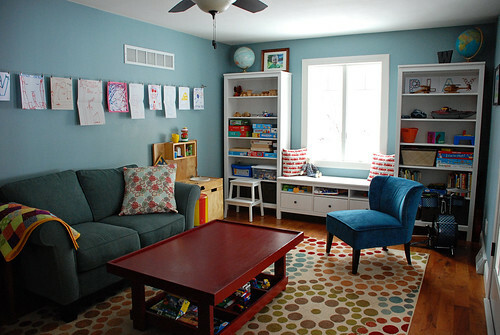 Finally, a playroom we love to play in! I love the play table. I love the art wall. The new shelving looks great and it looks like there is a lot of fun on them. And you kept the nice light from outdoors and connection to the porch and I believe the snow will melt this year and we will get back out there too.